Recently I enjoyed visiting a private Canterbury woodland garden, where new owners are bravely wrestling with (and gradually overpowering) fifty years of indiscriminate tree growth. 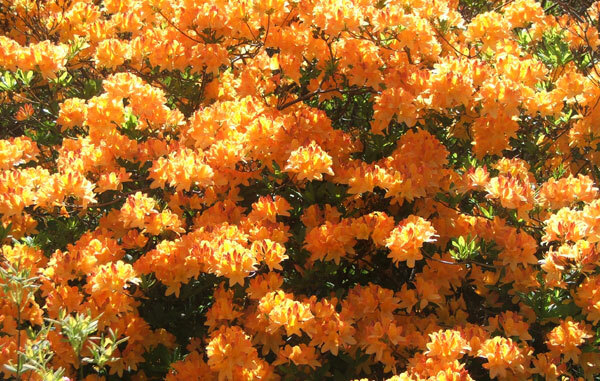 I was really inspired by their efforts - and by the beauty of their rhododendrons. Towering gums and giant, twisted Macracarpa shelter trees have been felled. 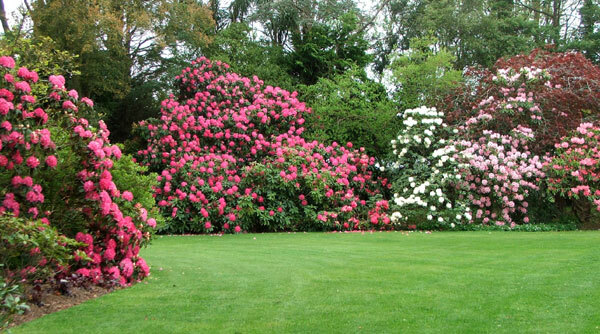 Huge conifers have been removed from the ornamental gardens, clearing the skies above the rhododendrons and camellias. A Tangle or a Strangle? The woodland is being restored to a proper balance - it's just enough of a tangle to be romantic, rather than being a strangle! The series of dramatic before and after photographs I looked at carry a serious warning. If a gardener lets nature decide the dominators in a mixed planting, and lets the years roll by without intervening - aargh! The drastic tree-clearing must be a breath of fresh air for the resident exotics (many of which are lopsided - but they'll adapt). 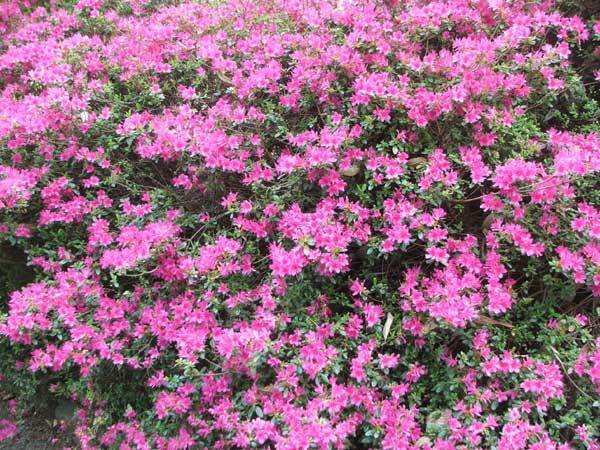 Large shrubs need large spaces to look their best - it's pretty simple, really. Every spring I visit Ilam Gardens, a small botanical garden owned by the local university. Here the Head Gardener works tirelessly to keep the old shrubs and trees in good health. 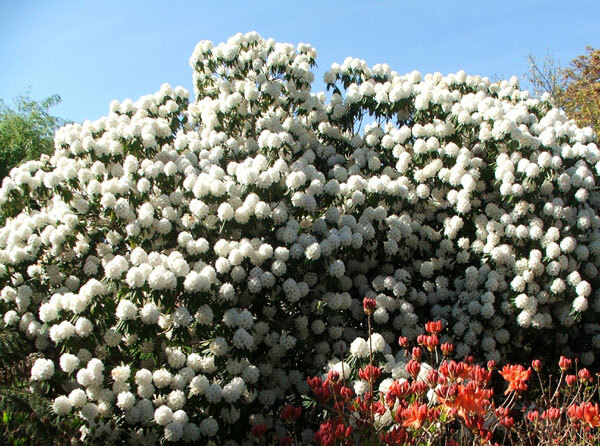 Many of his older rhododendrons have needed a helping hand - or should that be a helping saw - and the deciduous Azaleas, too, have benefited from his 'tough-love' pruning plan. There's such a fine balance between good, strong growth and too much growth. Both these gardens are doing it well. 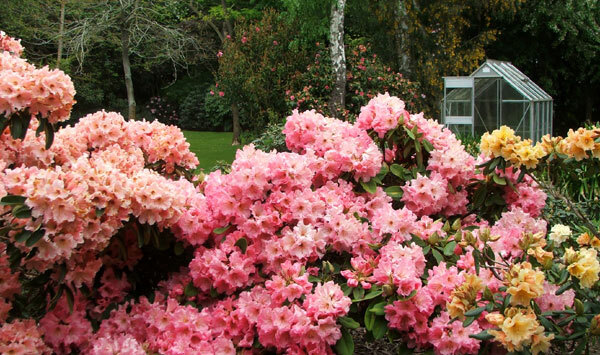 So maybe I'd better be patient, and thoughtful, and allow my rhododendrons their own time and space to be beautiful. 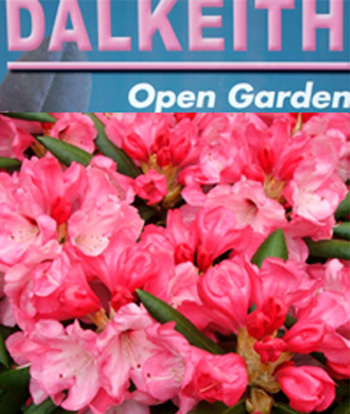 Photographs on this page were taken at Dalkeith and Ilam Gardens. Thanks heaps to their gardeners for being able to visit.